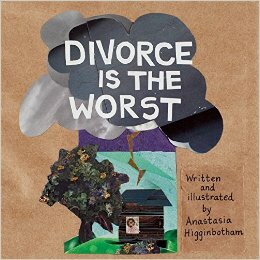 Divorce is the Worst By Anastasia Higginbotham. FTC Disclosure: I received this book for review from Feminist Press. Picture of Grace By Josh Armstrong. While I choose not to parent, I was a child once and I understand both divorce and grief. If you want books to help guide a child through these difficult and often traumatic situations, these are two wonderful options. These children’s books should help ease some broken hearts and answer questions in an effective, fun manner. Both books are told from the child’s viewpoint. 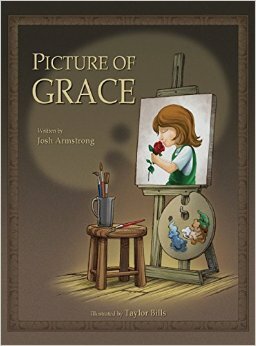 In Pictures of Grace, author Josh Armstrong writes about a girl losing her painter grandfather. He’s a famous landscape artist who spends quality time with his granddaughter. When he dies suddenly, Grace decides to finish his current painting adding her own style and flourishes. It stresses remembering happy times and a person’s life when they die. The illustrations by Taylor Bills remind me a bit of a Disney film but prove effective. This entry was posted on April 9, 2015, 00:50 and is filed under Books. You can follow any responses to this entry through RSS 2.0. Both comments and pings are currently closed.